Summer is the time for quick, easy meals around our home. I don’t know about you, but if it’s hot outside, the last thing I want is the oven on. Especially since our A/C has gone out three times already this summer. Yikes 😉 So, around our home lately, I am all about simple, summer meals or salads. 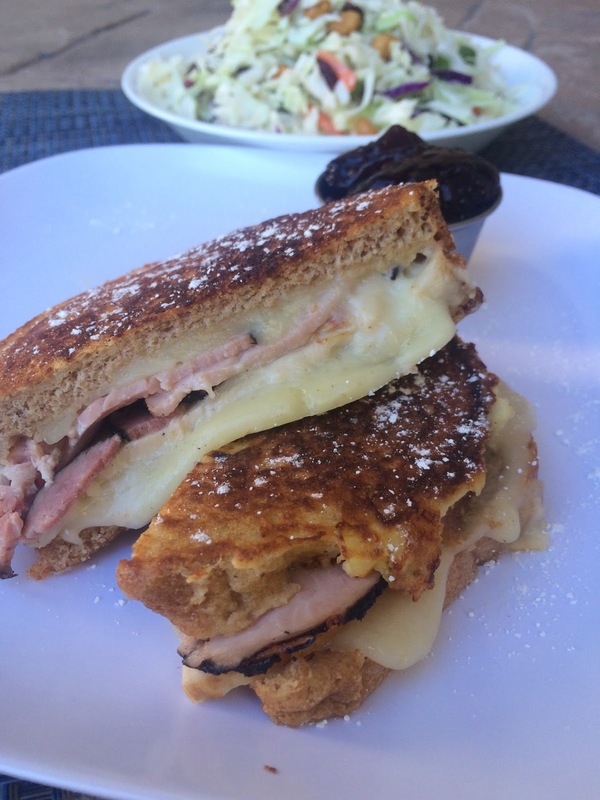 One of our favorite easy meals are Monte Cristo Sandwiches. They are cheesy, melty and a sandwich everyone in our family LOVES! They are a mix between french toast and a toasted ham and cheese sandwich. This toasted sandwich is then dipped in blackberry jam–strange, I know…but SO great!! If you need a simple summer meal, this one is fabulous!! Spread four slices of bread evenly with Dijon mustard. Put one slice of swiss cheese on both sides of bread. Put 2 slices each of ham and turkey on each sandwich. In a separate bowl combine, egg, milk, salt, pepper, pancake mix and nutmeg. Put sandwiches together and coat heavily in egg mixture. Cook in a frying pan in hot butter until cheese is melted and bread is golden brown. To ensure egg is cooked and cheese melts, cover with a lid. When sandwiches are done, sprinkle with a dusting of powdered sugar. Serve sandwiches with black berry jam on the side for dipping. Makes eight sandwiches.